Being active is an important part of life. Whether it’s being with family, gardening, or simply enjoying a sunset, activity helps us stay mentally and physically healthy, while creating a feeling of accomplishment and purpose. But activity for the person with Alzheimer’s or other dementia, takes on a new meaning. Activities can no longer be taken for granted, and are often harder to successfully complete alone. It’s vital that caregivers continually discover new ways to keep their loved one active. Adaption and creativity are a must when activities are no longer possible or don’t interest the person. 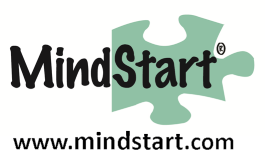 In this class, Monica Heltemes of MindStart discusses how activity for the person with dementia is a form of therapy which can lessen the rate of cognitive decline and decrease bad behaviors. Go ahead and visit Monica’s site where you can get access to her very useful tip sheet, 50 Activities to Engage the Mind, Body, and Spirit of the Person with Dementia. Subscribe to Upcoming Empowerment Event Notifications. Are You Listening to the Person with Dementia?